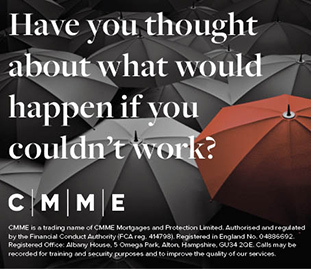 Fill in the form below to speak to an experienced consultant at CMME. Contractors can be subject to various work related pressure that can take a serious toll on their health. Lack of mobility during the working day, rushed breaktimes and the stress associated with responsibilities and invariably tight deadlines can all have an impact on a previously healthy individual. Such lifestyle related illness could have a great impact on an independent professionals financial health. Critical Illness cover is designed to pay out a lump sum on diagnosis of a range serious illnesses. This cover is often far more relevant than life insurance which pays out only on death. Many illnesses would have been a death sentence 10-15 years ago but thanks to medical advances and a greater understanding of our health, these illnesses are often treatable and sometime even curable. However, these same illnesses can leave you in a reduced state of health. For a regular monthly premium a contractor can arrange for a lump sum to be provided on diagnosis of such an illness. The funds can be spent as you choose for example to settle a mortgage, pay for a period of convalescence or even pay for alterations needed to allow you to stay in your home. This cover goes hand in hand with Income Protection which pays a monthly income in event of illness but which would stop once you were assessed as having made a satisfactory return to health. The lump sum pay out from a critical illness policy would be yours to keep, regardless of whether you recover from the condition. This money could even allow for some changes to your work life moving forward. With life cover, cost, the approach of the underwriter and the financial strength of the company are all issues to consider. However when advising on critical illness cover CMME ensure that illustrations are competitive, but that the cover is of a sufficient quality. Medical definitions of what is covered are very important - these must be comprehensive enough to be of practical use to you in the event of a claim. No-one wants to be told that they aren’t sick enough to make a claim. The provider must also have a good track record of paying claims and of the claims that aren’t paid, justifiable reasons need to be given. Premiums must also remain affordable throughout so that protection can be maintained as you get older. You can cover yourself for a fixed level amount over a set term (i.e. until retirement/your children grow up/a debt is repaid etc. or you have the option of a reducing amount of cover that will reduce in line with a reduced liability - i.e. a repayment mortgage. CMME will respect your privacy and adhere to the Data Protection rules.